Its been very long since I have had time for myself, cooked something special, spent time with my camera and blogged. I was in a total different world… with my son…. As I browsed the net, I found this recipe which I found to be very easy, mess-free and could be finished in about 15 mins…. yes you heard me right 15 mins!!! Melt butter in microwave(Just melt it, make sure it doesnt boil). Make sure you take a deep microsafe bowl. Add milk powder and condesed milk(I used Nestle Milkmaid). Mix it put it in microwave for 3 to 4 mins. Stop for every minute, mix it well and put it back. At the end of 4 mins, you will get a nice dough like mixture. (If you do not get the right consistensy, you can continue for 2 more mins). Let the mixture cool down till its warm. And while warm, grease your palms with ghee or butter. 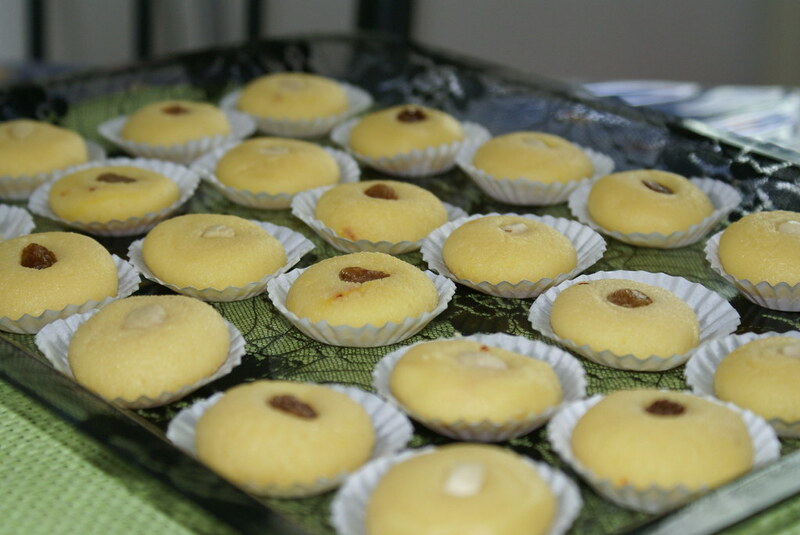 Take a little mixture in your palms and make small round balls and press a little to get the shape of Peda. 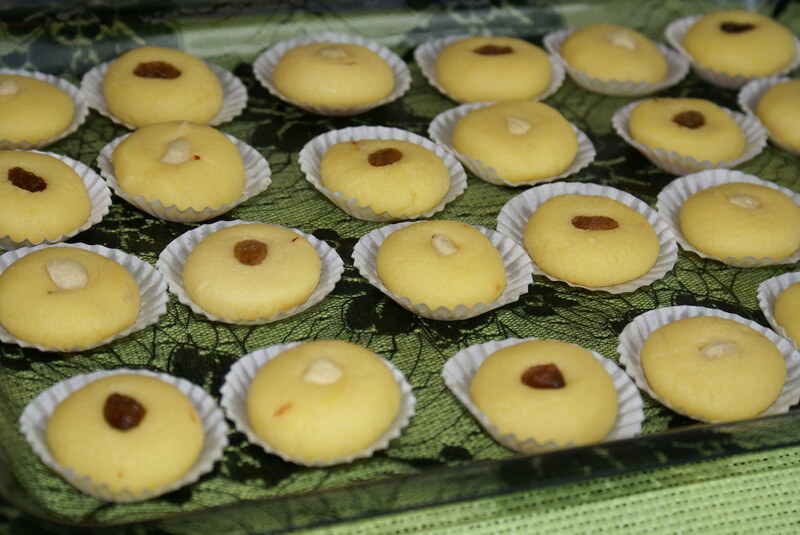 To decorate you can press a pistachio or cashew in the middle of each Peda. Hope to see more recipes from you. He looks to cute..such a delectable MW peda..
lil Krishna is soooo adorable .. Welcome back! Love peda's in any form. And a peda without all that stirring in a microwave in 15 minutes. Nothing can be better then that. Your son looks really cute with his dhoti outfit. Welcome back and your little krishna is so cute. i am droolling over the pedas so nice and perfect. You son looks just like a little prince! Pedas look delicious. Thanks for visiting me. What a pretty welcome – an adorable Krishna and doodh pedas too! Aww … he's adorable! I completely empathize and sympathize as I have been going through the very same with my little one … lovely pedhas! They look good! Very convincing 🙂 I know your son enjoys it! looks yummy!Does this recipe calls for unsalted butter? Hi. i've seen ur blog its very good………….please will u help me also for my blog given below. Nice stuff! I'm enjoying reading your blog here! then you are in the healthy situation veracious now. Proprietor Financing May Be The Secret Answer Learn How To Own A Stamping-ground Without Dealing With A Bank! in colors of your preference with to the fullest extent discounts recompense paints,with admissible by character quality. Hi also from Hyderabad! Your son is adorable and the recipe looks delicious- so easy and fast! Happy cooking! 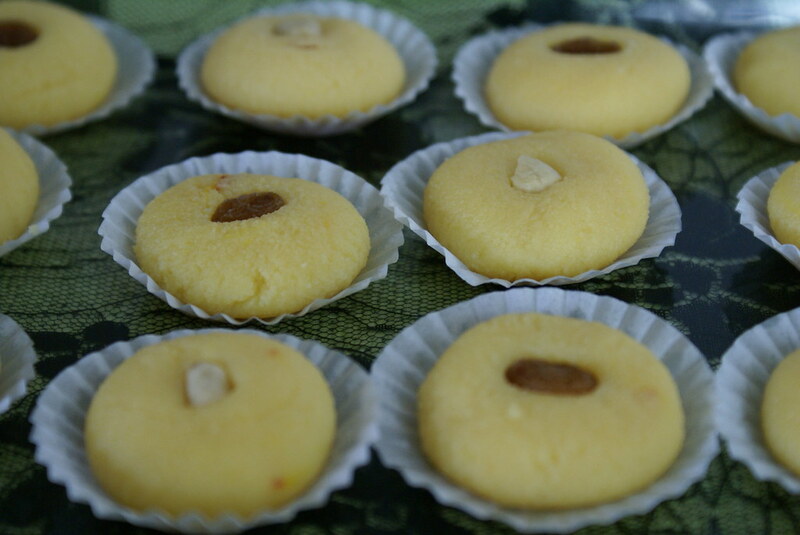 tried this today, it took a lot of time though I used a 850W microwave and also I used olive based butter so that might be a factor , so the color was also not yellow, the taste was line khowa rather tahn peda, I should try again with normal butter. and is the tin of condensed milk 400ml or less, cos I used one tin condensed milk of Nestle which was 400ml, but we do get lesser as well.So please let me know the measure of condensed milk. I used 400 ml tin of condensed milk. And yeah do try with normal unsalted butter. And microwave time differs from oven to oven. So microwave slowly stopping and mixing for every minute till you get a nice dough like mixture (it may take maximum 6-7 min and minimum 3-4 mins). Add a lil saffron or yellow color to get the nice yellow color.